Alastair Smart has published a detailed interview with Maurizio Fiorilli, the Italian state prosecutor ("Maurizio Fiorilli: scourge of the tomb raiders", Sunday Telegraph August 10, 2008). Fiorilli reflects on the recent returns of antiquities from North American collections and their display in the two Nostoi exhibitions in Rome. He makes a distinction between historic "cultural property" (such as the Parthenon marbles) and the more recent looting of archaeological sites. "Since 1970, whole new rules of behaviour have been in force for art-purchasing internationally, and pieces illegally trafficked after that date must return to Italy not as a concession, but as a matter of course." Fiorilli reminds us that false "histories" had been created for some of the objects so that they would appear to have been "known" prior to the 1970 UNESCO Convention. Even more scandalous is the suggestion that complete pots were fragmented so that they could be sold piece by piece to institutions. The interview reminds us that the objects that have been returned are only the tip of the iceberg. the repatriated artefacts are arguably just the finest 100 of the thousands that he [Fiorilli] could, with Polaroid evidence, have pressed claims for. Although some have suggested that the "antiquities wars" are over, this does not appear to be the end. although [Fiorilli] stresses that his investigations 'are now turning to Europe and Japan', he's far from finished in America, where the Cleveland Museum of Art, Minneapolis Institute of Arts and a host of private collectors are on his hit-list, and where the Getty is still refusing to budge over its showpiece bronze statue 'Victorious Youth', attributed to Alexander the Great's court sculptor, Lysippos. The statue was hauled up by Italian fishermen off the Adriatic coast and eventually sold to the museum in 1997, the Getty maintaining that because the statue was found in international waters, Italy has no rightful claims on it. It looks as if the Cleveland Museum of Art (see the report that there appeared to be progress in May 2008), the Minneapolis Institute of Arts (see the link between one piece there and Robin Symes) and the Miho Museum (see the story about the Roman oscilla) are now firmly on the Italian agenda. Renewed claims for the "Fano Athlete" were made in January 2008 (as the Euphronios krater was arriving back in Rome). The interview also addresses the issue of the "universal museum" (and indirectly one of its key advocates, James Cuno). Disgruntled American curators aside, Fiorilli's fiercest critics tend to be the many advocates worldwide of a 'universal museum', who - notwithstanding Unesco's declaration on lootings after 1970 - wonder: 'Why repatriate to Italy, when we're all children of the Graeco-Romans ?' and 'Aren't treasures best cared for, and most widely viewed, in a world-class museum?'. But the case of the Italian antiquities is too clear-cut for such questions. They must be repatriated, if only to put the brakes on future looting. As beautiful as an artefact may look in a museum display, once stolen away from its archaeological context, we'll never know the time, place or society it came from: we'll never gain insight into the culture that created it. Smart has revised the debate about the return of antiquities to Italy and suggested some insights on how the story is likely to develop over the next few months and years. 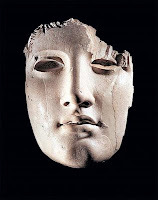 For anyone interested in learning more about the objects on display in the "Nostoi" exhibit, SAFE/Saving Antiquities in Rome is offering exclusive tours of the exhibition. They are led by experts Stefano Alessandrini, who has offered expert testimony in court cases that led to the return of several of the "Nostoi" pieces, and Professor Laura Flusche, an expert on Roman art and culture. "Owned by a Duke in Northern Ireland"
Shelby White and Greece: is there an update?